If you’re raising small children or have raised small children, then you know the bedtime battle is real. I have the opposite problem now with teenagers in my house who nearly sleep more hours than they’re awake, but I do remember the days. I’ll never forget when my son disregarded that the consequence for coming downstairs one more time far outweighed his desire to get out of his bed. We had our weekly small group gathered at our house. He was tucked in bed, and I thought for sure that this introverted kid would be happy to stay there. He wasn’t. He tried his best to come quietly down the stairs but the creak in the step gave him away. I marched him back upstairs, tucked him in again, and this scenario played on repeat three more times. Finally, I said, “Joshua, if you come downstairs one more time, I’ll have to take your nightlight out of your room.” He loved that nightlight, so I thought for sure this would settle him in for the night. It didn’t. Five minutes later he was at the bottom of the stairs again. Exasperated, I walked over, and he kindly handed me the nightlight. My daughter was the same, just not so quiet about it. As an extrovert, she couldn’t stand not being involved if people were in the house. Even at two years old, she wanted to socialize. Staying in bed was too boring! She would constantly leave her room to tell us something or say she needed a drink of water. Of course, she didn’t, but at least that would give her a chance to see what was going on downstairs. Bedtime with toddlers can be a real battle, and sleep-deprived parents mixed with children who refuse to close their eyelids can be a frustrating combination. Press on! It will pass in the blink of an eye. Here are some tactics that greatly helped us along the way. 1. Be consistent without losing your cool. It’s so, so hard. I know. Children start at a young age testing the boundaries. As parents, we have to show them the boundaries over and over again. Take a deep breath and draw the line. You’ll be glad you did. We had a routine every single night with our kids. Read a book, sing the exact same songs every night, and pray (in that order). It always helped them settle down and brought a sense of security and connection. Plus, it let them know what was coming. Looking for a new bedtime story? Check out Don’t Close Your Eyes by Bob Hostetler. It’s the cutest board book doing a little reverse psychology encouraging kids NOT to close their eyes. It will surely have you both laughing. 3. 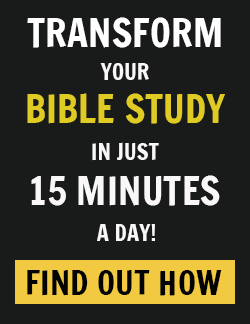 Ask Jesus to help you! He’s there for us and will give us the strength and guidance we need. Being a parent is no small task, and He knows that. 4. Remember: this phase will pass in the blink of an eye. It may feel like a thousand years, but then you’ll have teenagers and look back with nostalgia, realizing that it passed so quickly. 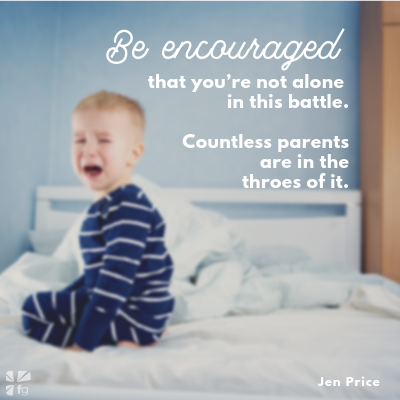 Most of all, be encouraged that you’re not alone in this battle. 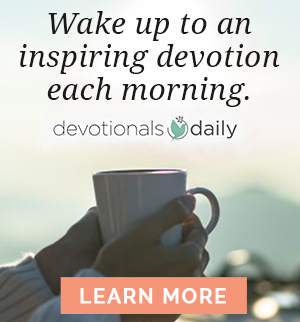 Countless parents are in the throes of it, and we have a God who wants to help us through it! Are you in the middle or have been in the middle of the bedtime battle? What did you find was helpful in getting your kids to stay in bed? 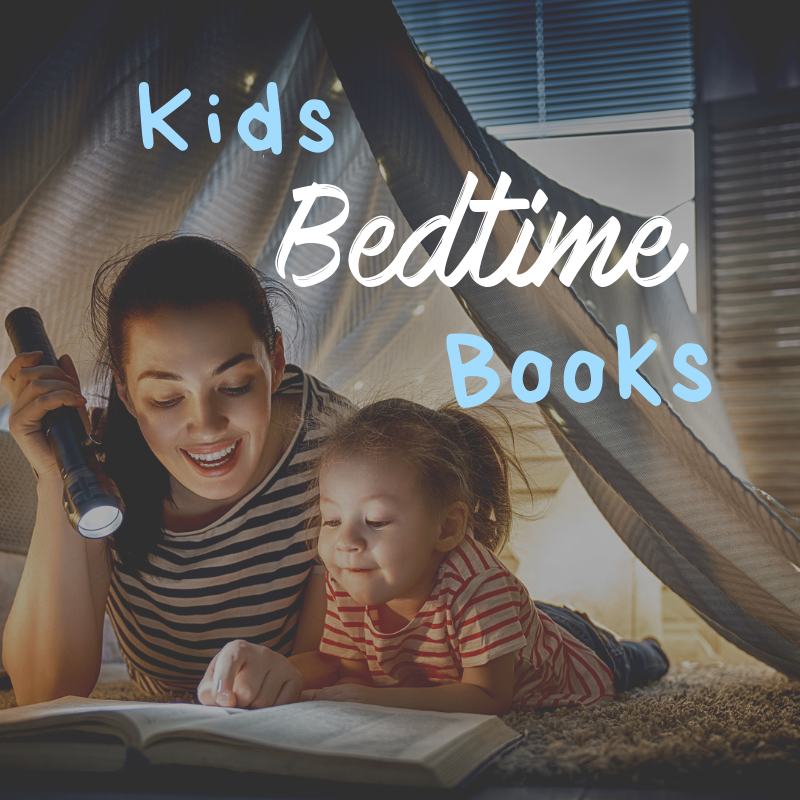 Shop all our best kids’ bedtime books!